Properly maintained tires help give you a smoother ride, provide better traction and handling of your Nissan and can help prevent dangerous accidents caused by tire failure. When you need a tire rotation or to replace your tires, you can count on our knowledgeable technicians to take care of you. Schedule your service today and we’ll get you going safely in no time. It’s one thing if your vehicle can’t go, but if it can’t stop, it’s downright dangerous. This regular maintenance shouldn’t be ignored. 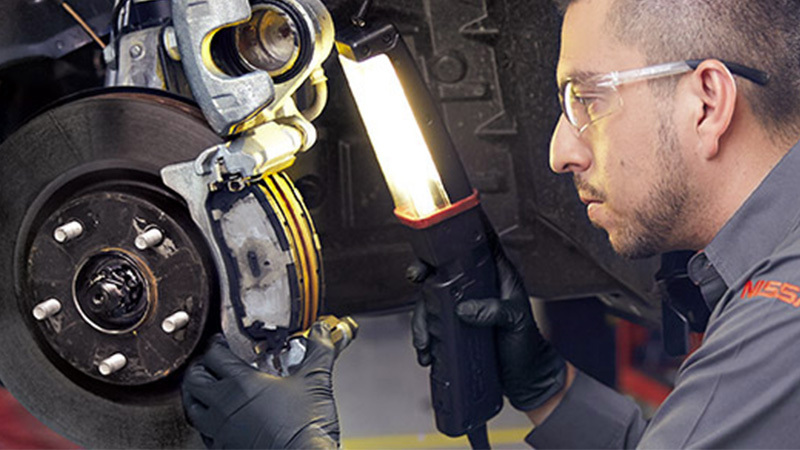 Our certified Nissan technicians will inspect your brakes and replace brake pads and other components if necessary. And you can bet we have the right brake pads, rotors and more for your vehicle on our shelves. Schedule your brake service today and be ready for any stop on the road. It’s never a good time to be left stranded with a dead battery. Especially in rougher weather, you want to be sure your car will start. That’s why we offer a free battery diagnostic test as part of our multi-point inspection. 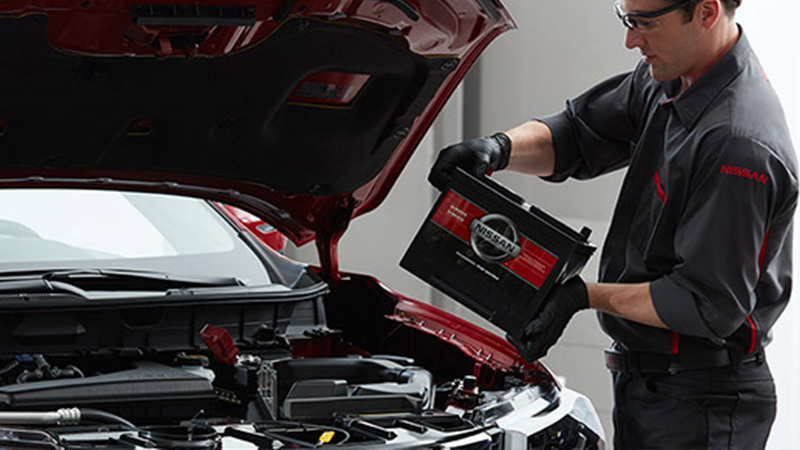 And we have the right battery for your Nissan stocked and ready to go. Come on in and we’ll make sure you’re powered up and ready to go, too. We know your time is important. Nissan Express Service takes the hassle out of vehicle maintenance by providing service at your convenience. Every Nissan Express Service includes a complimentary multi-point inspection. Our trained technicians will inspect your vehicle from top to bottom and let you know if anything needs attention.